Whether you’re heading out on a business trip or just getting in from a long international flight, upgrade your airport parking experience with Jiffy Airport Parking. Located at 146 Haynes Ave., Newark, NJ 07114 near Newark Liberty International Airport (EWR), Jiffy Airport Parking eliminates the hassle of short- and long-term airport parking. Besides our commitment to providing New Jersey travelers with the highest level of service, we offer an airport express car parking service to get you in and out in a flash. Contact us today to speak with a Jiffy Airport Parking representative and learn more. Managed by Propark America, Jiffy Airport Parking offers an express car parking service to EWR travelers. With express check-in and check-out, you’ll enjoy prompt service from the Jiffy Airport Parking staff, so you can get on your way in almost no time at all. Plus, our convenient car park is located less than a mile from Newark Airport, offers plenty of self-park spaces and features brand-new, free shuttle buses that are always running. 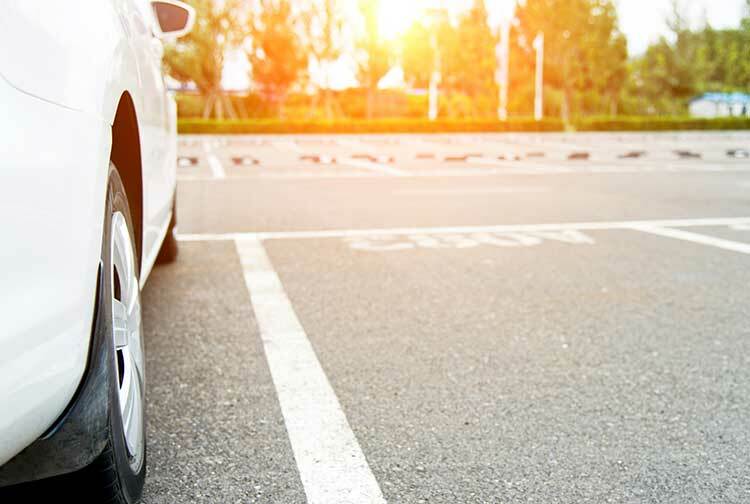 From the first time you park with Jiffy Airport Parking, you can begin earning points toward free parking. Simply pick up a frequent parker card from the cashier, register your card online and start earning frequent parker points every time you stay. For each $1 you spend, our frequent parker program gives you one point. After you spend $100, you’ll earn a free day – it’s that easy. Combining low prices with premium service, Jiffy Airport Parking is the best value in Newark Airport express car parking. Book a guaranteed reservation today, and save even more by prepaying for parking.